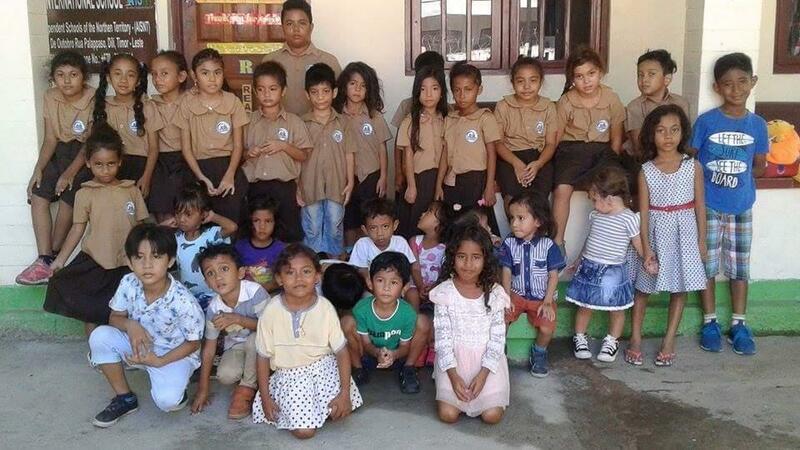 St Anthony’s International School (SAIS) in Dili is a non-denominational independent school wholly managed and operated by Timorese, dedicated to providing education that will enable students to study, work and lead at an international level in the future. The school currently has an enrolment of 70 students from Playgroup to Year Six. Most students speak between two and four languages, but all instruction is in English – the international language of business and politics. The school uses a modified Australian curriculum. The philosophy underpinning SAIS is that young Timorese can only access higher learning in international universities if they are highly proficient in English. If Timor-Leste is going to develop its own doctors, lawyers, teachers, and business leaders rather than relying on support from outside the country, English language expertise is essential, and knowledge of the Australian curriculum is highly desirable. However, the Timor-Leste government only funds schools that teach in Tetum, not English, so SAIS operates without any government funding. “Our biggest aim as a school is to produce a leader for this country,” SAIS Director Cristina Yuri R. S. Costa says. “It is not about facilities and luxurious buildings, but good teachers working with children to give them a good education, building a great future. “Our kids are smart and talented like all kids, but they need the opportunity to get the best education possible. Most of our parents do not earn much, and our public schools do the best they can. However, as a human being, and as a mother of two kids, I want to make accessible the best education possible. I want to get our school to international standard. It is the most sustainable project you can think of, for the future of the people and the country. SAIS has been supported through membership of the Association of Independent Schools of the Northern Territory (AISNT) since 2016. SAIS is registered as an International School, and has a sister-school relationship with the St Andrew (Darwin) campus of Good Shepherd Lutheran College. Since it opened, SAIS has operated from a converted house in Bidau, Acadiruhun, Dili. 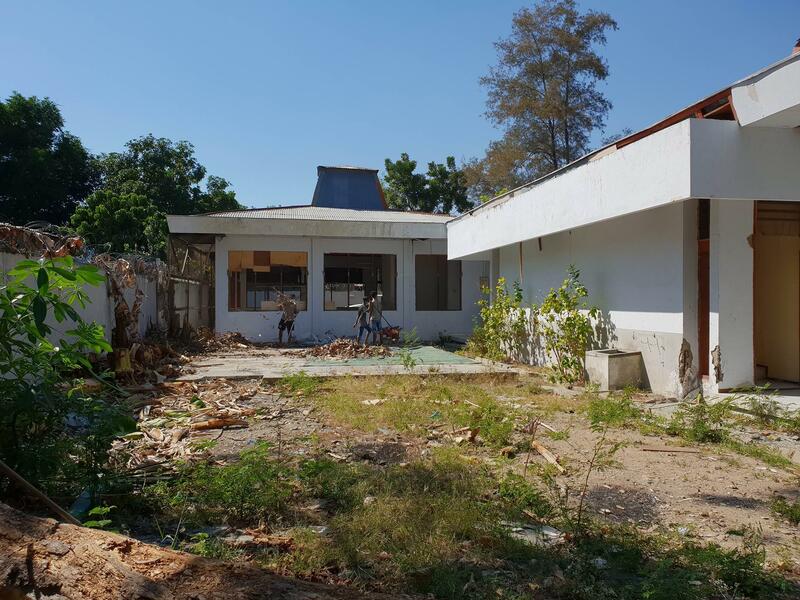 The school is currently in the process of relocating to a neighbouring site, which is somewhat dilapidated but provides significantly more space. The full scholarship covers: all tuition fees, workbooks, registration, and school uniform. 2). Build a new playground. Estimate US$5500-$6000, which includes all materials, equipment and labour. The new school site will have six classrooms. Each classroom will cost US$5,000 which includes materials and labour. If the Association sees fit to fund any projects at SAIS, Cristina Costa and her team are eager to have this generosity acknowledged in any way that you see fit – through naming of scholarships, name plaques on school structures etc. There is also an open invitation for Association members to visit the school and meet the staff and students. SAIS acknowledges the magnificent work that the Second Second undertook on behalf of the people of Timor-Leste at a very difficult period of the nation’s history, and expresses enormous gratitude that members through the Association continue to show an interest in helping Timorese people. We thank you for the kind opportunity to put forward this funding submission. A quick update. 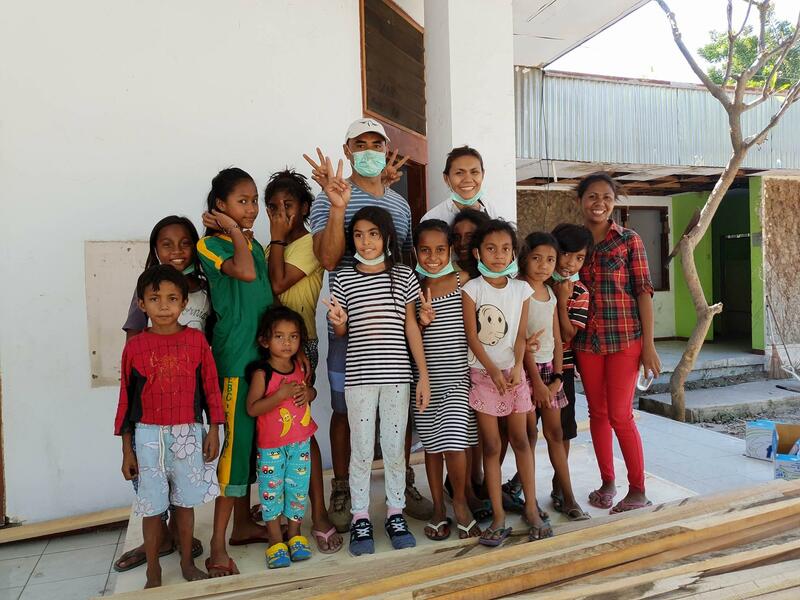 Cristina has sent through some photos from the new school site at Palapasso, Dili. 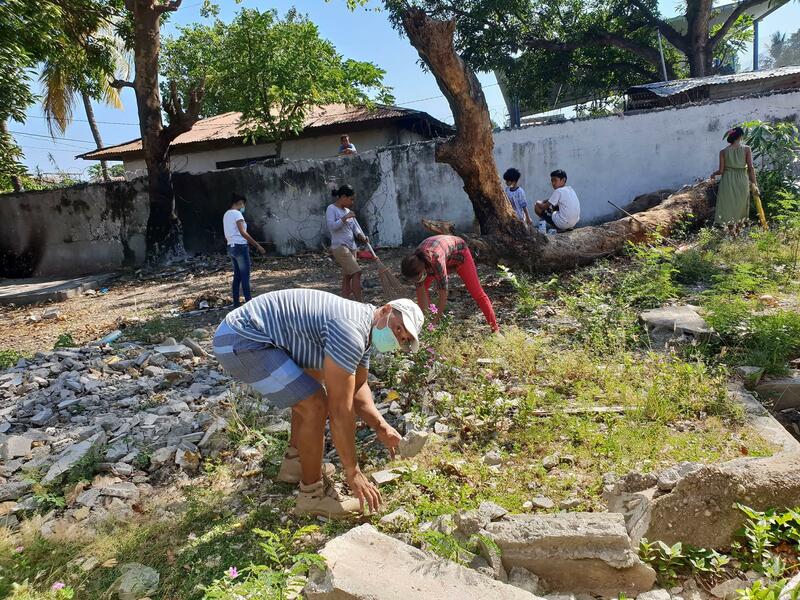 Cristina says they have engaged students, parents and staff members in a concerted clean-up campaign and are working on all aspects of making the new school site habitable with a view to shifting classes there within the next few months. Please note that Cristina is the taller woman in a white shirt. Her partner and school co-director Cesar is in the blue and white striped tshirt.